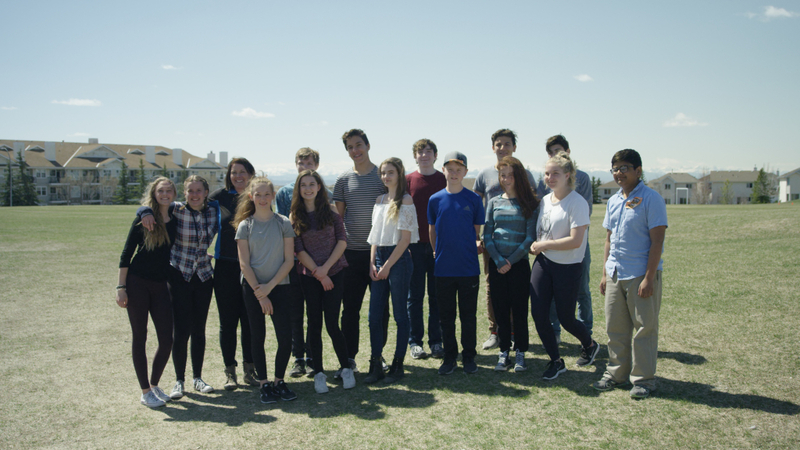 Many schools have outdoor courses or one-time camp experiences, but Calgary’s Arbour Lake School goes further with its Environmental Wilderness and Outdoor Club (EWOC). Operating as an option class with lunchtime meetups, EWOC’s grade 6-9 members take part in outdoor adventures, action projects and regular environmental learning opportunities. After attending the 2017 CAWST (Centre for Affordable Water and Sanitation Technology) Youth Wavemakers Summit, EWOC members were inspired to create a living wall that represented living more sustainably. The club engaged a local seniors home to learn about how to care for different plants, modifying the wall to include solar panels, grow lights and an aquaponics system. Together with community partners, EWOC then organized a similar day-long school summit that focused on local and global water issues. Some 60 students attending the summit left with an action plan to work on an environmental issue of their choosing. The summit was organized by grade 9 students (with help from devoted teachers) that are inspiring the next generation of EWOC members with leadership projects that are long-lasting and multi-year in nature. The living wall was created so that it can be expanded and altered over time, with different plants and growing techniques. It serves as a lasting legacy and a symbol, demonstrating to younger students that environmental issues are ongoing—they don’t end when exiting the school doors.